This entry was posted in So and tagged 3G Network, dogs, George, Golden Retriever, Golden Retriever, Julie Petroski, Labrador Retriever, rescue. Bookmark the permalink. 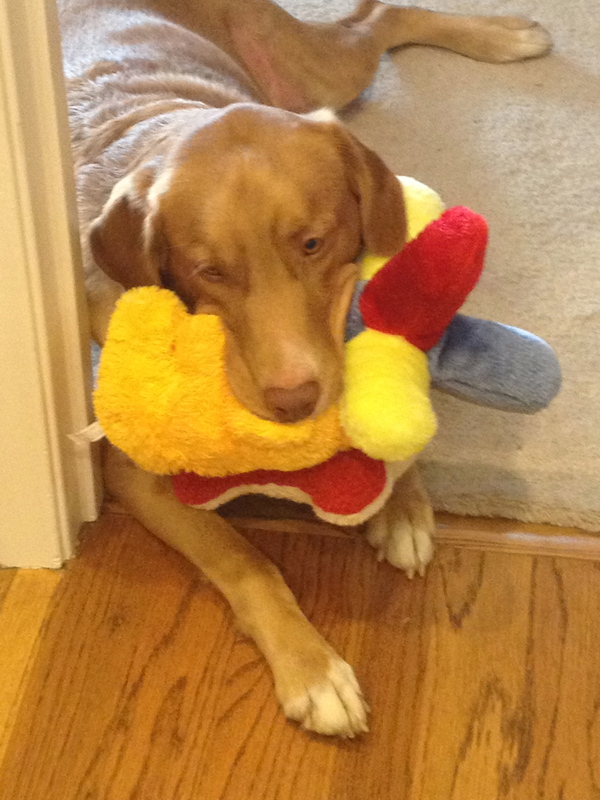 I love that photo of him with the 2 toys in his mouth. Does he like to cuddle? I don’t think I’d be able to leave him alone. Oh he loves to cuddle. George thinks he is a lot smaller than 85 pounds. He loves to be petted–he has pushed himself up against my free hand for a rub. He grunts when he’s content. Aww … He sounds really sweet. He sure looks really sweet. They all do. He is adorable.I think so too by having something in his mouth gives him security.Sometimes a dog that has gone thru what he has will do that.He may even out grow it. 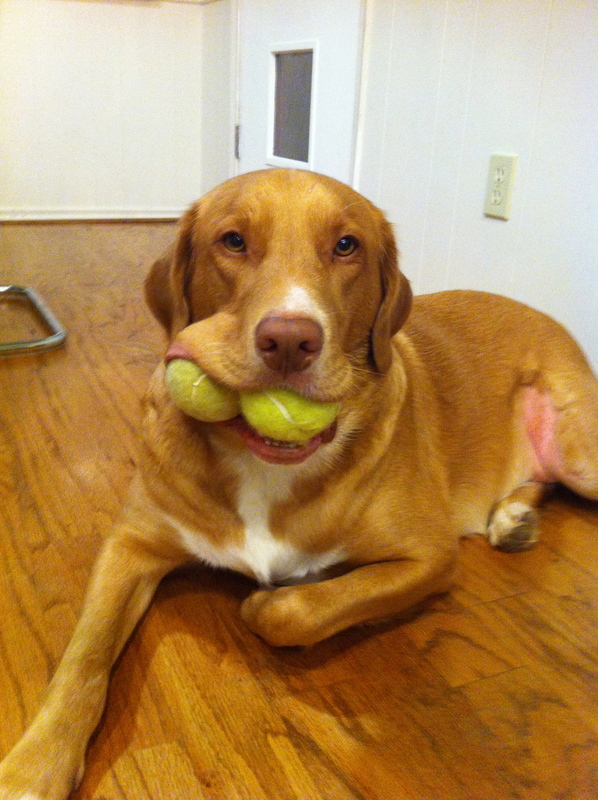 Oh I hope he doesn’t outgrow being able to carry multiple toys in his mouth. It’s very convenient when I have to pick them up — they’re in sets of 2 or 3 all over the house and yard! But I agree that it gives him a sense of well-being. I’ll write about what we think may have happened to him in another post and you’ll be amazed by his veterinary miracle. A story for another day, though. Yes please do.The only trouble I have with mine is loud noises he can’t see.I know alot of dogs are like this but if you have read my blog it was where he was found.He don’t like guns.We think hunters had a lot to do with it.His mother was killed we think by them.He came with a yellow knitted blanket and he still has it.Thats his security thing.